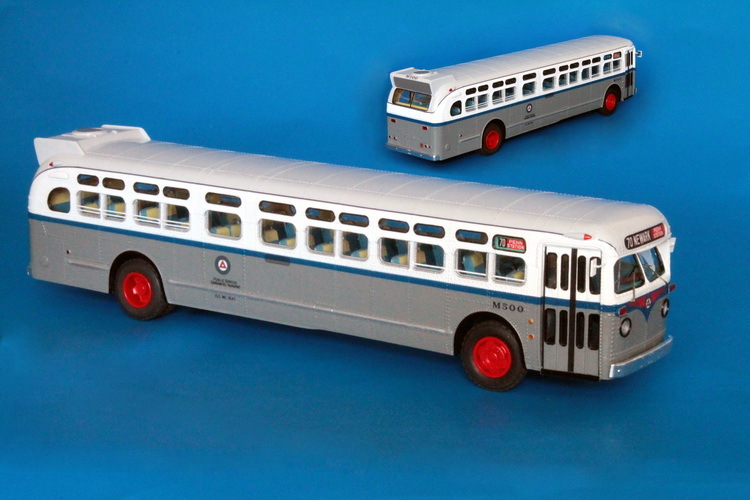 Model 1951 gm tdh-4509 (public service coordinated transport d900) - later 1960s livery. 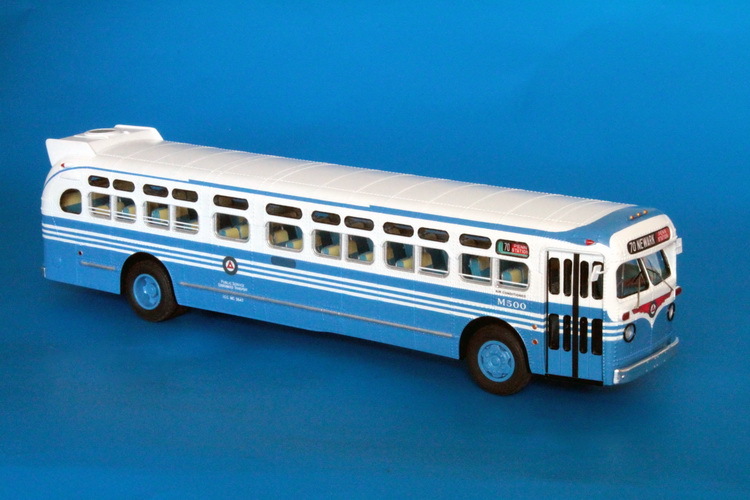 1951 GM TDH-4509 (Public Service Coordinated Transport D900) - later 1960s livery. 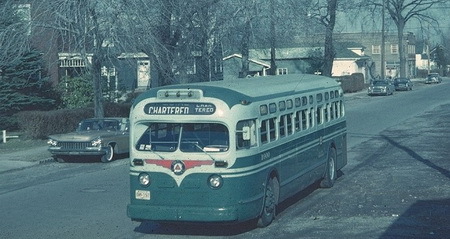 In April 1947 Piblic Service Coordinated Transport announced a plan to purchase 130 new all-service vehicles - a dual powered buses which could operate as a standard trolley coach from the overhead wires and it also had a diesel engine with electic drive and accordingly could operate on its own internal power away from the wires. 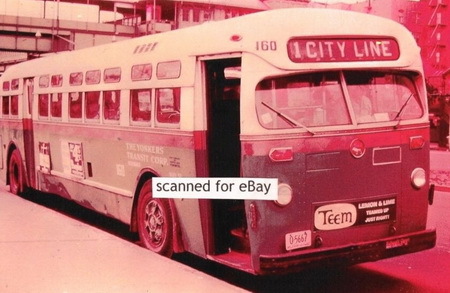 In 1926-1937 Pubic Service company acquired a huge fleet of 582 ASVs covered 22 trolley coach routes. A prototype vehicle for new fleet was ordered from GM and was delivered in May 1950. GM’s cost to PSNJ for its engineering, development and delivery of the D900 prototype was $55,000 but would be reduced to just over $25,000 per unit for an expected delivery of 72 production models. 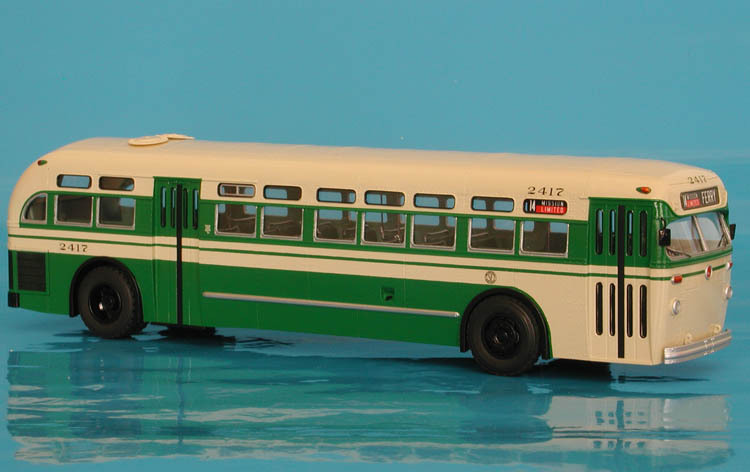 Because of both political and logistical problems, the D900 never actually saw revenue service as a trolley coach and was eventually stripped of its electric propulsion equipment and did serve until 1970 as a standard TDH 4509 from PSNJ’s Greenville Garage in Jersey City. 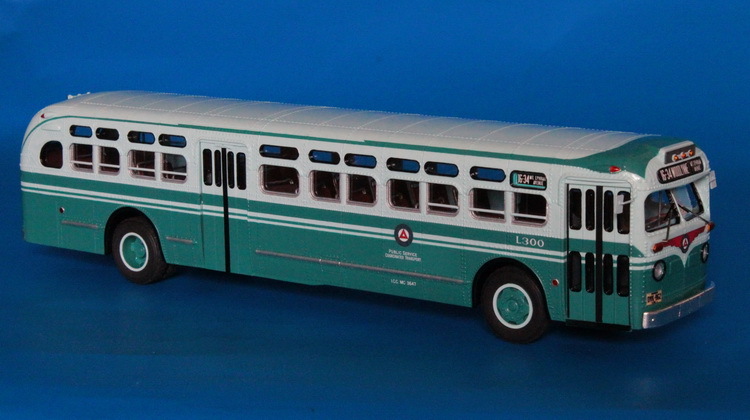 1957/58 Mack C-49 DT (San Francisco Municipal Railway 2300-2369; 2400-2469 series) - MUNI "Simplified" livery.